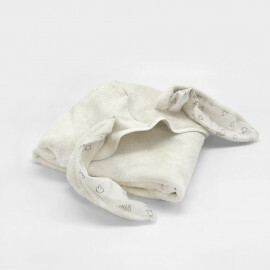 The hooded bunny swaddle blanket makes it easier to wrap up newborns when feeding them, hugging them or wrapping them after bath time. 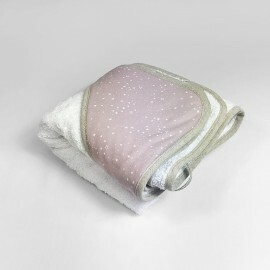 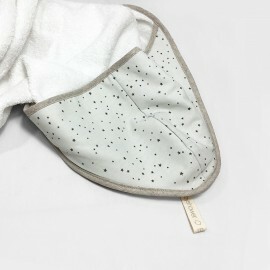 Its soft beige terry cloth side helps washing away drools easily. 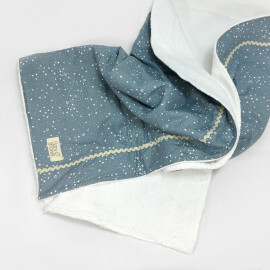 100% muslin cotton exterior. 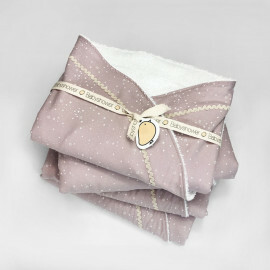 The Babyshower vision of the traditional spanish toquilla" swaddle. 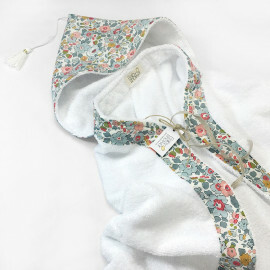 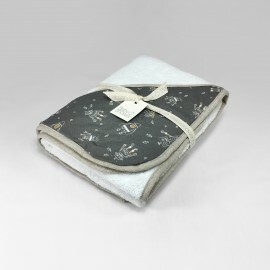 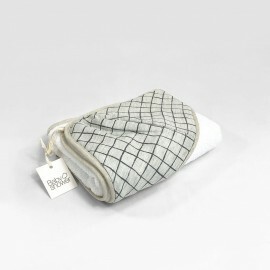 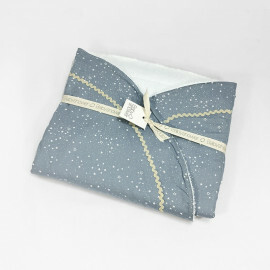 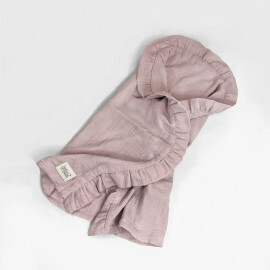 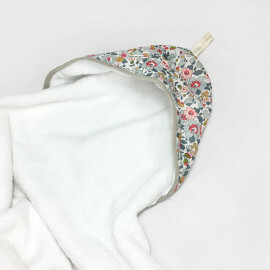 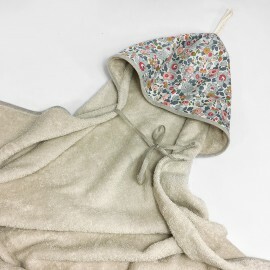 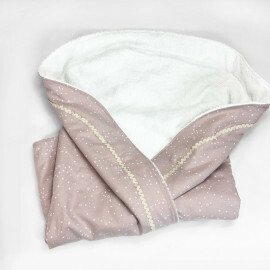 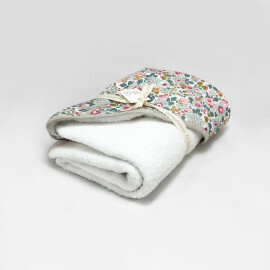 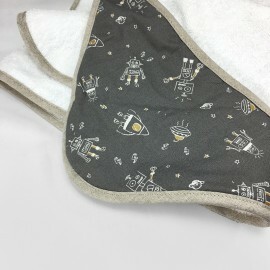 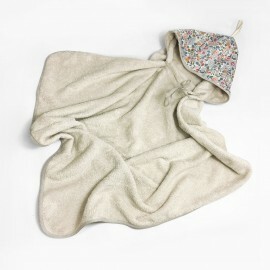 Wrap your baby in our semicircular swaddle and it's big ruffle.Use it also as a summer blanket. 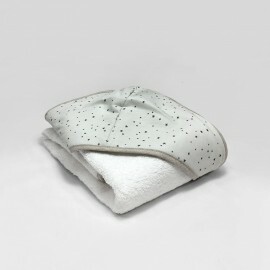 Made of double cotton gauze. 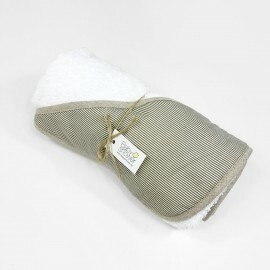 Here comes a magic and 100% Bio Bath experience! 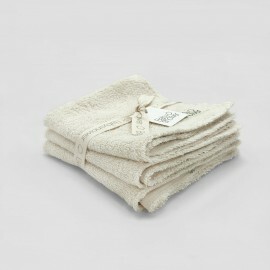 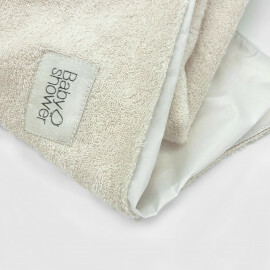 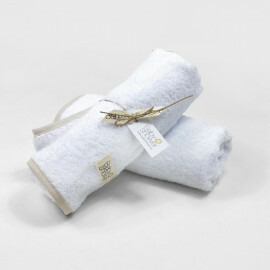 A wide 100% organic cotton towel. 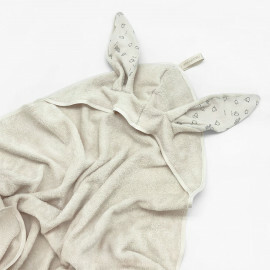 Its hood with big bunny ears will transform the exit of the bathroom into game. 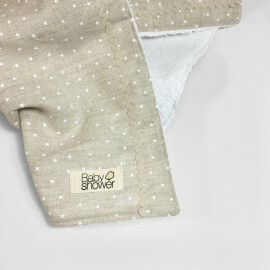 From the first month to 2 years. 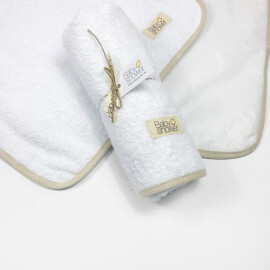 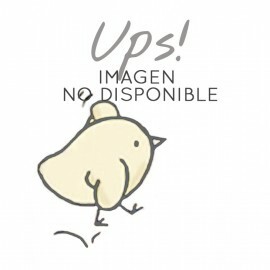 In addition to being fun, it will provide the safety and quality for the baby's skin of its Organic GOTS certification. 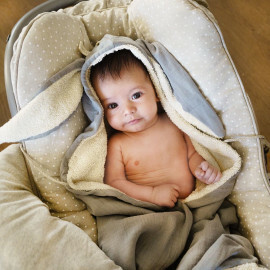 The new hooded bunny swaddle blanket makes it easier to wrap up newborns when feeding them, hugging them or wrapping them after bath time. 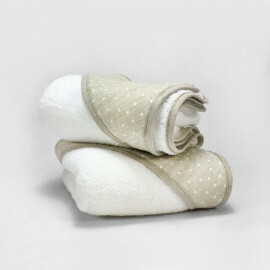 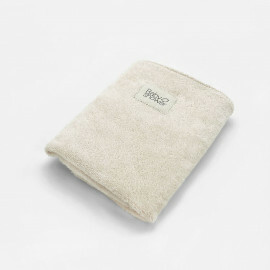 Its soft beige terry cloth side helps washing away drools easily. 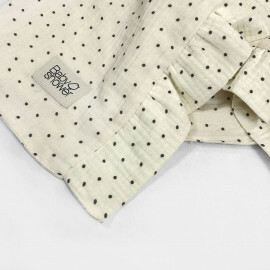 100% muslin cotton exterior.